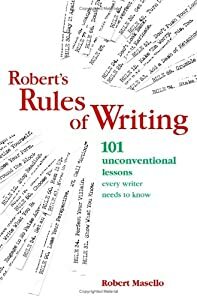 Someone lent me a copy of Robert’s Rules of Writing. Rule #1 was Burn Your Journal. That was very hard to swallow because I’ve been keeping a journal off and on since high school. I stopped for a few years after I caught my husband snooping in it. Thankfully he realized how boring my inner thoughts are, so I returned to a daily practice of writing in one of those cheap composition notebooks. My first reaction to someone even suggesting I give up my journal, much less destroy it, was positively negative. It struck me as counterproductive and down right fascist until I read his rationale. He posits that a journal can become a trap, like an emotional brain dump that’s simply an excuse for never re-writing, editing or polishing your work. Burn Your Journal can be wake up call for frustrated dabblers to move beyond their own interior monologue. That’s in contrast to another book on the craft of writing, Becoming a Writer. Journal writing is mandated for several weeks of early morning and pre-arranged times. The purpose is to give yourself the freedom to write what comes to mind. But it doesn’t stop there. She then gives a brief prescription for how to re-read those musing, like an instruction manual for discovering your natural writing talent. She parses the content as such: those that recapture their dreams or a vignette from the previous day are best suited for short stories. A deeper analysis of character, whether in others or yourself, and a consideration of motives lends itself to novels. More abstract ideas and thoughts sketched out as introspective speculation can mean a knack for essays or non-fiction. It’s an interesting juxtaposition on the use of journals, and goes to prove that there is more than one way to hone your craft. I’m still a fan of keeping a journal, but I see Robert’s point that it can become a trap and not a tool. I think journaling gives writers a safe place to express themselves without worrying about what the reader will think. It lowers our inhibitions in expression because we know that it won’t offend anyone. In the big picture, I think journaling is a good thing; however, what and how I journal in the heat of my feelings probably isn’t anything I want to publish. One of Robert’s later rules is to keep a notebook, so I think the initial Burn the Journal idea was to get beginning writers to see that they had to do more than just keep a journal. The book The Artist’s Way is another good source of ideas on how to make a journal more productive for a writer.